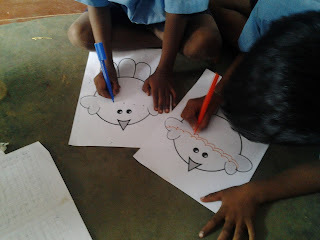 They made kite and then drew Kolam on that. 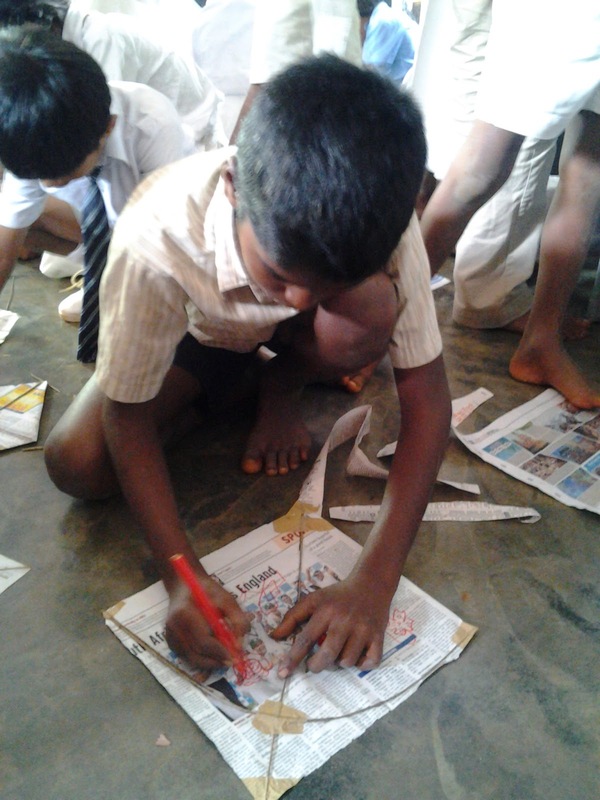 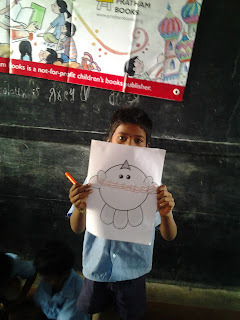 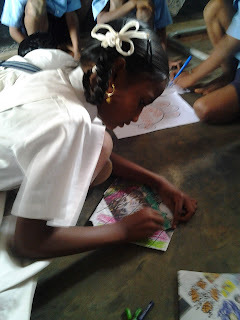 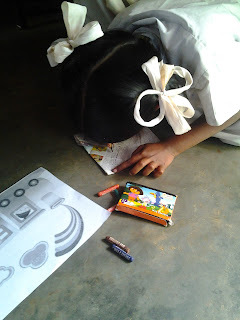 It was one of the happiest day to see how children were also enthusiastic to make their own kite and Kolam. 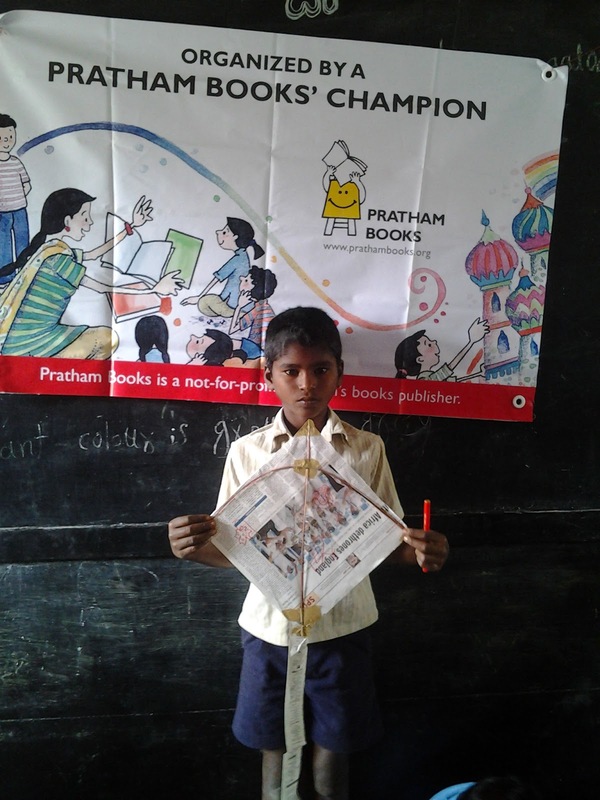 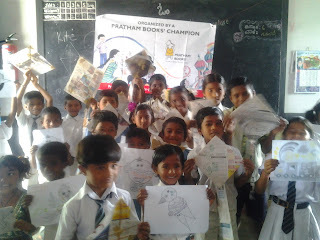 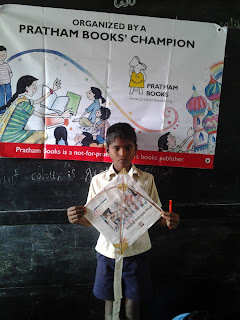 Thank you Nayan for spreading the joy of reading!